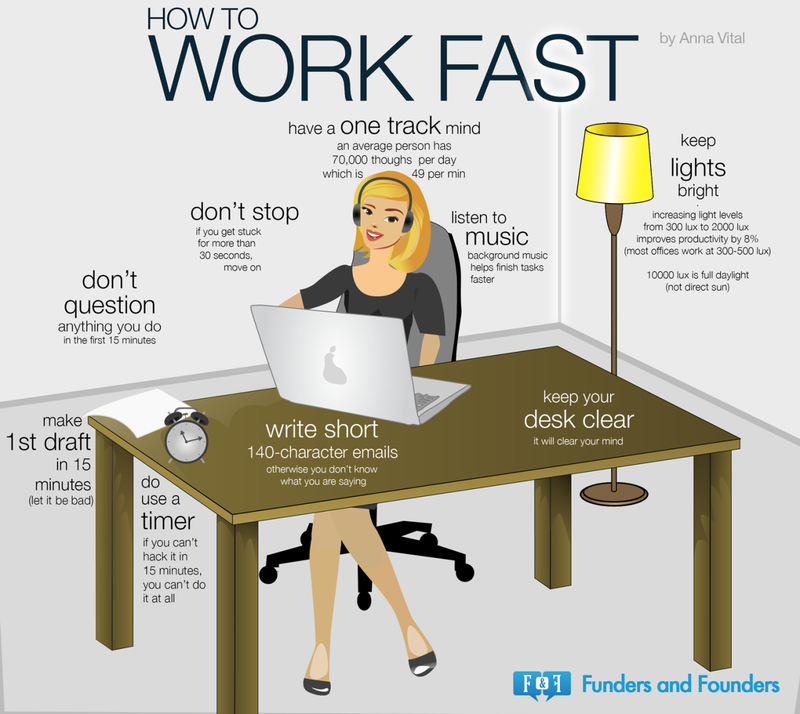 Below infographic represent how you can work fast and efficiently. It’s a perfect infographic example from Funders and Founders. So I thought to add up more spice by writing a post for my audience. By following this basic work ethic you can know how to get work done faster and efficiently. I have tried and come with new modern work ethic for you all. Those days are gone where work ethic means discipline, integrity etc. I have list some modern work ethic points which will improve you as a professional person but will actually love your job very much. How you can work fast and efficiently? What are work ethic? That’s sounds to be very crazy question. But everyone has their unique style of working pattern and have their own work ethic, someone works like a robots who don’t want to take breaks and are also not so strong socially. This type of employee are only focused on work. But does it really works? I have a friend of mine who was working for one of the famous ad agency. He was punctual about his timings and use to work for almost 12 hours daily. But still the management was not happy with his performance. So what was his issues? The real reason behind this was he was not actually working fast and efficient. Also he was not following some basic work ethic. As he was not well organized. This sounds weird, but that was the main reason. Actually he was not enjoying his work, he was just filling his days in the organization. If you would go around his desk it was completely messed with gadgets like mobile phone, glasses, laptop bag, notepad, charger etc. Keeping this things around him was making him frustrated but he never noticed. The first thing he did was clean up his desk. So there was only his laptop and water bottle for getting energized. Keeping things organized makes you feel positive and you can concentrate only on your task, rather than playing with your cell phones. Never turn off the lights when you are working because that will make you sleepy. Light is best source of positive energy so have a bright light at your workplace. If it’s not provided find a best place where you can get good bright lights where you will not feel dull. Listening your favourite movie will add excitement in your working style. You will feel refreshed and energetic. You can have a low volume music which won’t disturb you. It has been said music always add refreshment value. If you go to big restaurants, mall and even washroom now days has a music playing in the background. Never work in stressed and question yourself when you start working. By doing that you will be thrown in the storm of negative emotions. So always be positive before you start working on any task. Always be professional while writing emails, keep it short and straight forward. Email does not mean you have to write essay or story. So always make sure, email can be 3-4 lines maximum. It is always good to keep emotions away during work. Keep one track in mind. If you are working on any task focus on it. Because while working if you keep thinking about you weekend plans, girlfriend, sports or anything which is diverting you from work will affect your work. This is most important however your personality is outside office, you must be angry young man, rude or selfish. You have to keep all this attitude outside the office. Because management will always monitor your behaviour. Even if you are expert in your field that won’t matter if you are not good team player. Because skills can be improved easily but it is difficult to improve someone behaviour. But that does not mean you can’t work.  You can follow easy work ethic to adopt any company work culture. In today modern world everyone has dream to work with corporate giants such as Accenture, Ebay, Facebook, Google and Disney. So it is really important that you work smart not work hard. This big giants companies are looking for smart workers who follow great work ethics. So it is really important to understand that whatever job you do, you need to follow some good work ethics to reach your goals. So what are you thinking now, you add more points by leaving your comments below. It was just great sir, perfect and clear guide. Thanks for sharing. It’s interesting that many of the bloggers your tips helped to clarify a few things for me as well as giving.Most of ideas can be nice content.Sometimes you just have to yell at people and give them a good shake to get your point across.Being new to the blogging world I feel like there is still so much to learn.Your tips helped to clarify a few things for me as well as giving. Your blog is very nice and thanks for sharing nice 9 working tips.